In December 2015 CH Distillery co-founder, Tremaine Atkinson, invited me to tour his Randolph Street distillery. 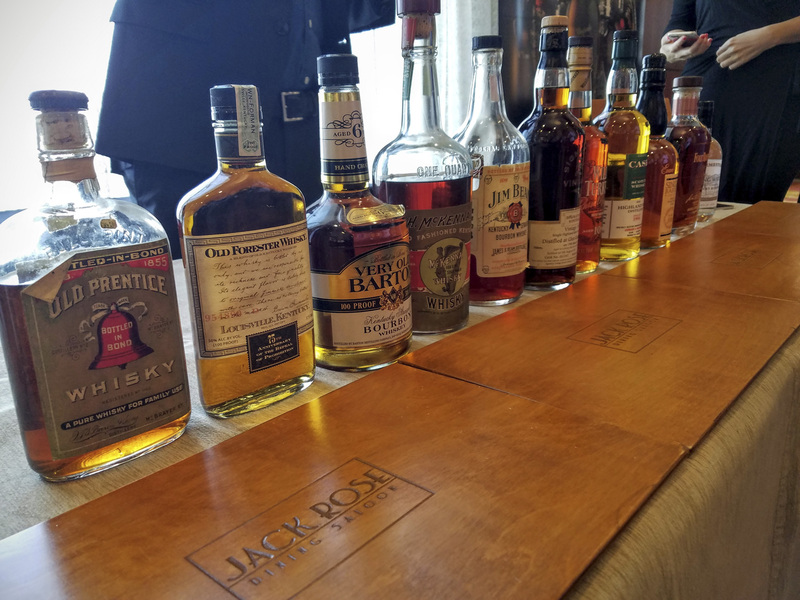 This turned into Chicago Bourbon’s fifth blog post and the very first distillery tour I wrote about. Tremaine and his business partner Mark Lucas have been hard at work ever since. Flash forward to May 2017 when I bumped into Mark while having drinks with a friend who helps distilleries fill operations, marketing, and sales positions. 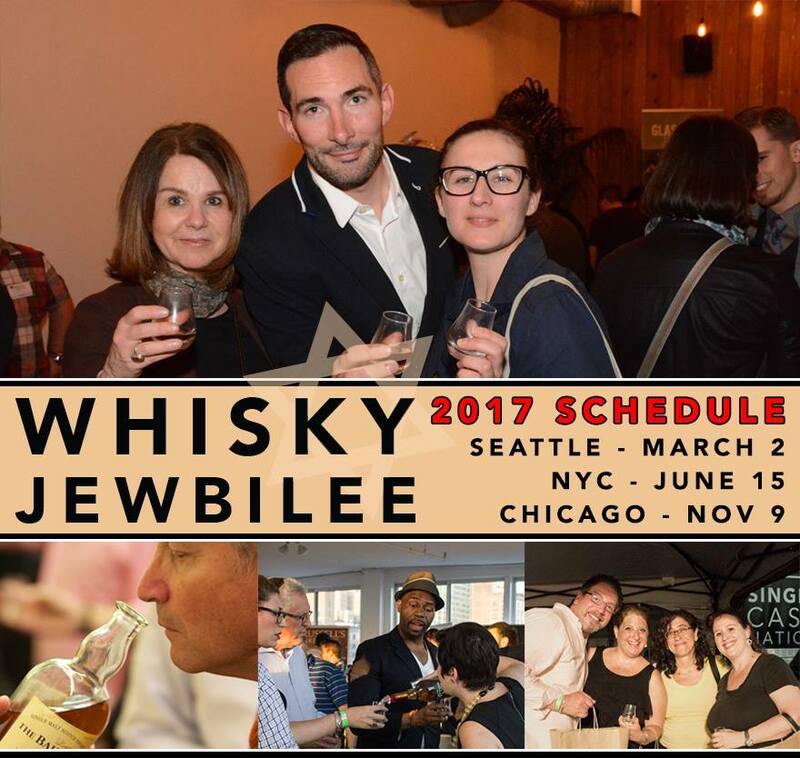 (Reach out to us if you have or know of a distillery in need of top talent!) Mark filled me in on what I would come to know as “CH2”. 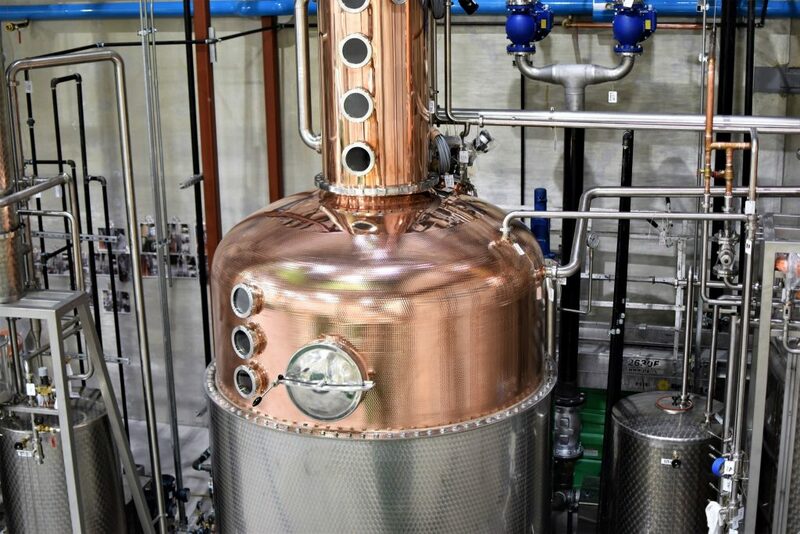 A new distillery in Chicago’s Pilsen neighborhood set to come online in June. I had seen pictures over the last few months as equipment was being installed but had yet to visit. Mark and I setup a time and a week later I was pulling up to their brand new building as Mark walked out to greet me. 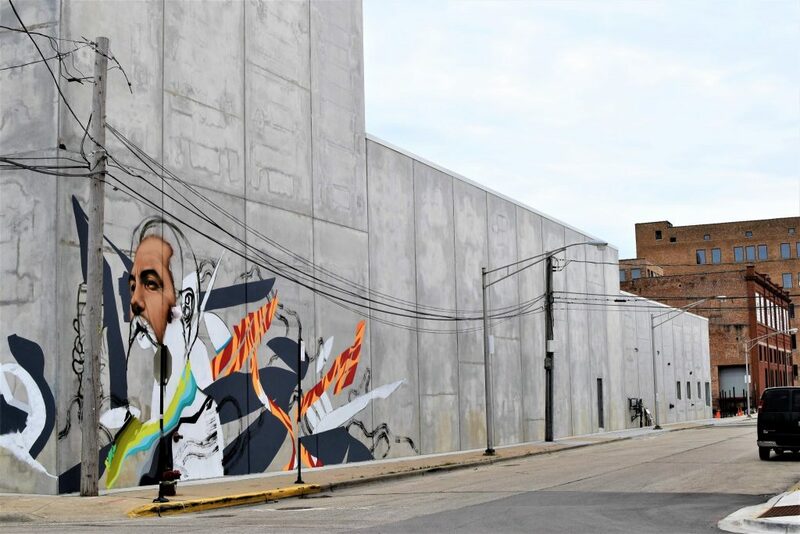 A mural in progress on the outside of CH Distillery. Pictured here: Peter Schoenhofen of the original Schoenhofen Brewery. The first thing I noticed; this is not a small project. The main distillery building is new construction solid concrete standing 60 feet tall and sitting on 2.5 acres of land. The sidewalks surrounding are brand new, the parking lot is fresh asphalt, even a retention pond to the East appeared just a few months old. Mark told me they have indeed built the distillery building from the ground up. Though he was adamant at pointing out they are paying homage to a previous tenant, Schoenhofen Brewery est. 1878, in several important ways. Five 18,000 liter fermenters. Ten times larger than the original CH Distillery. 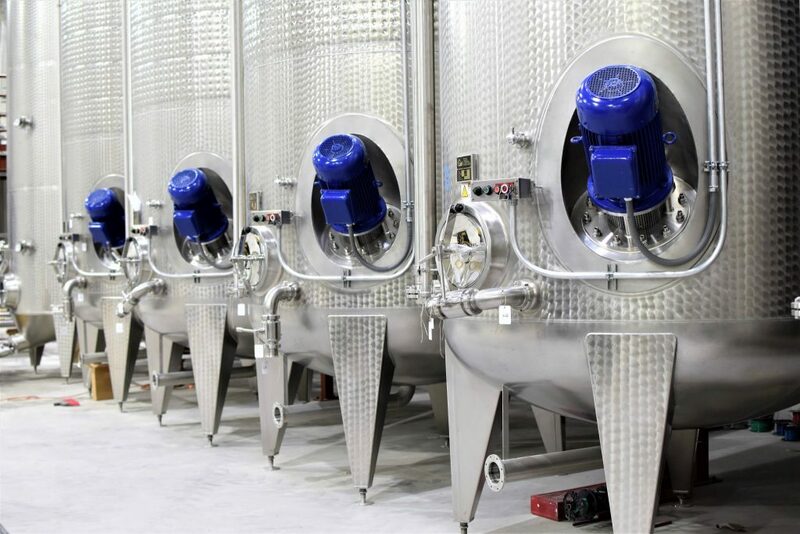 These fermentation tanks are equipped with blue motors to agitate the mash. 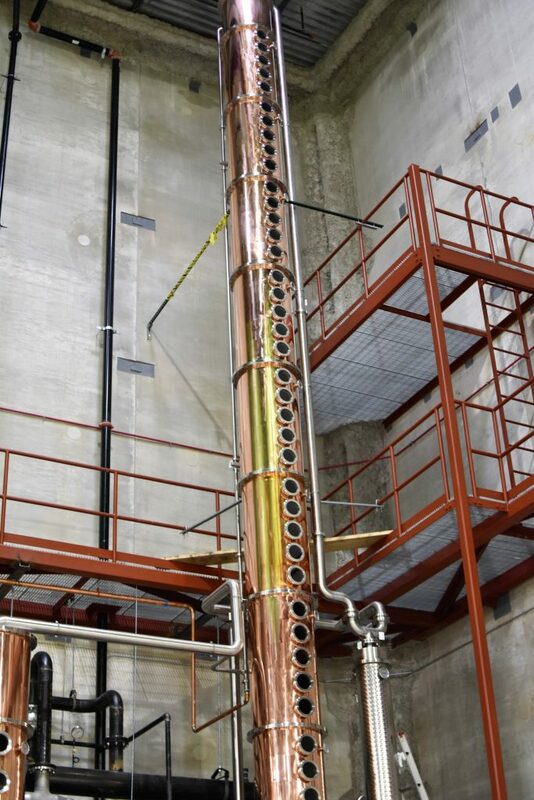 Stripping still, hybrid still, and the 50′ tall vodka column still. 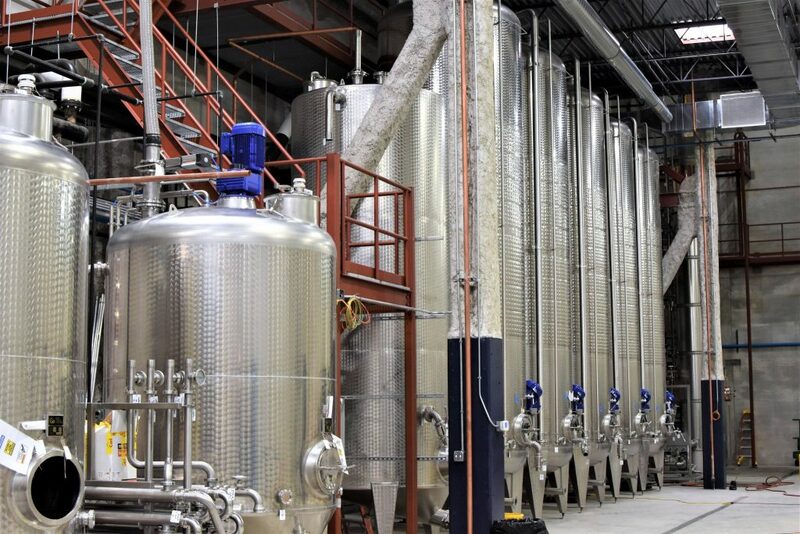 While everything at CH2 is larger, more automated, and state of the art compared to CH1 Mark made it clear the Randolph distillery, bar, and restaurant will continue in full operation. The Pilsen location is a commercial facility, closed to the public. All vodka production will move to CH2 while gin, rum, and other spirits will continue to come out of CH1. 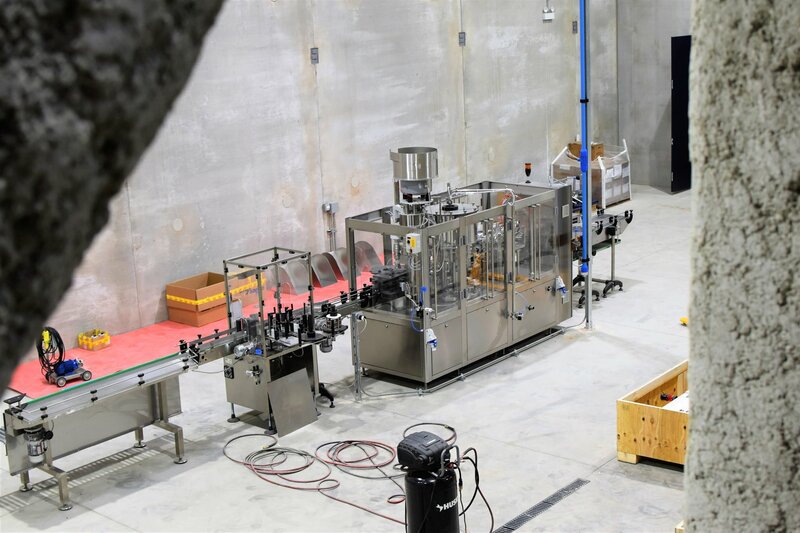 Bottling will also take place at CH2 on this impressive new bottling system. The bottling machine as seen from the catwalk above. Hybrid still from German still maker Carl. The same company used for stills in the original CH Distillery. CH does not distill whiskey, they focus on clear/unaged spirits, though they do have a barrel room to store aging rum and possibly future collaboration barrels. Mark pointed out the bright blue steel “blast panels” near the ceiling while telling me how they worked closely with their fire marshal on the planning of this entire building. The barrel room is rated to withstand 4 hours of intense heat should tragedy strike. In such an event these blast panel would blow open to allow pressure to escape while saving the structural integrity of the building. How freaking cool is that! Mark smiled when I asked him how it felt to build something requiring “blast panels”. The blast panels viewed from outside. Our tour continued to the north-west section of the building where I saw the main attraction. A mind bending 50 foot tall copper column still from Carl surrounded by a steel mesh catwalk. Mark tells me this vodka still only requires a single pass to get the alcohol proof they need. Compared to CH1 where they must run their spirits through the still twice to get to the proof needed for their vodka. Mark described this new equipment as a “game changer” for their production capacity, consistency, and efficiency. Next to the column sits a hybrid still and the continuous stripping still. The 50′ tall column still. 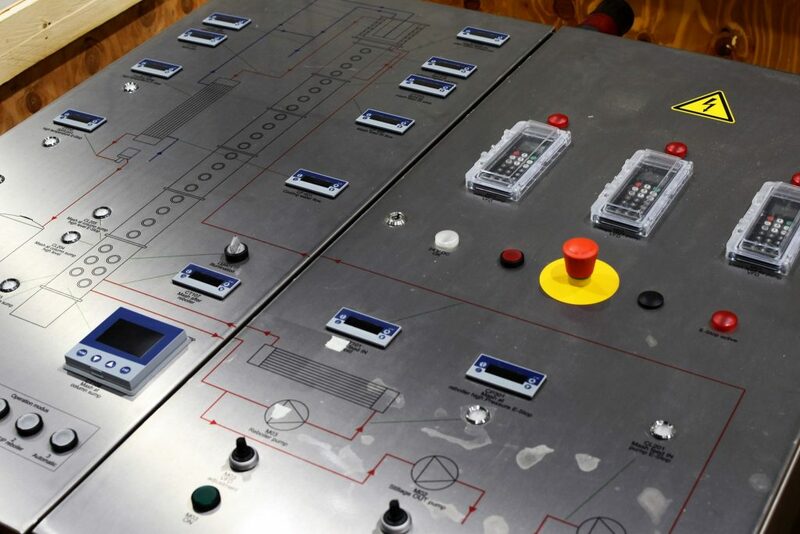 I asked Mark about automation at the distillery. He pointed out the giant control panel, still half boxed on a pallet. They plan to have about 5 employees full-time at the distillery but the automation could allow them to operate with just a few people. 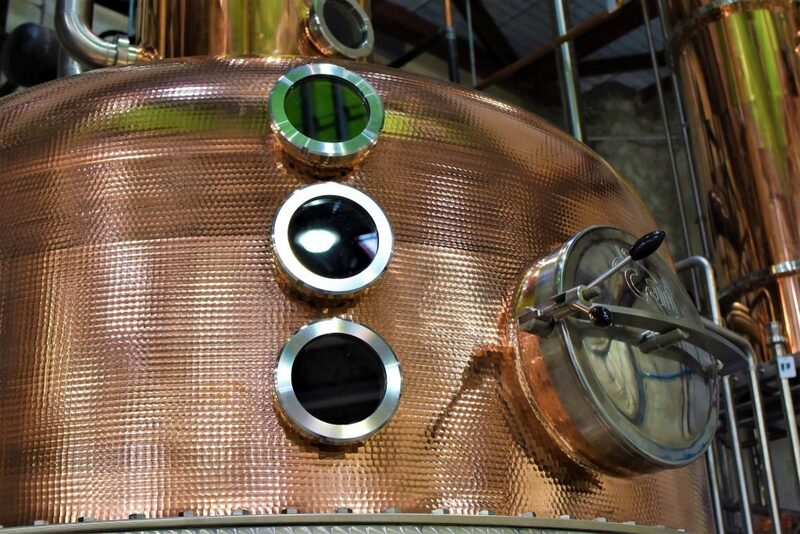 Mark shared some insight into his co-founder and head distiller Tremaine. He says Tremaine has a keen attention to detail and though the still is automated he expects Tremaine will be keeping a close eye on production as he gets a feel for the new still. This is the control panel that will run the still. 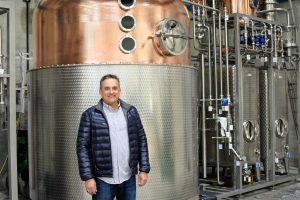 Mark and I talked about the challenges they see moving to a new distillery. He tells me that they take pride in crafting unique and flavorful spirits. As they ramp up to this much larger scale they will have to take special care to start slowly and make sure they don’t “strip” away the character that makes CH spirits so well-regarded. 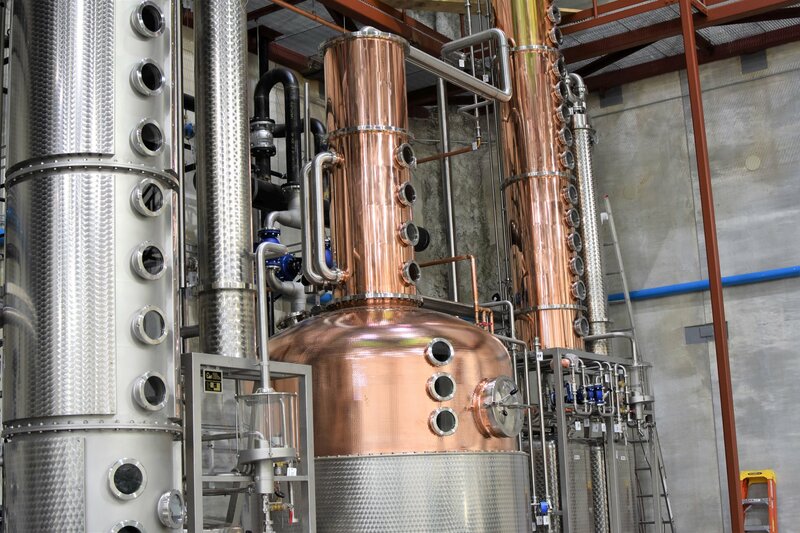 The last thing they want, says Mark, is to move too quickly and allow the efficiency of the new equipment to get the better of the artistic craft that so well complements the science of distillation. Part of the new distillation system at CH2. 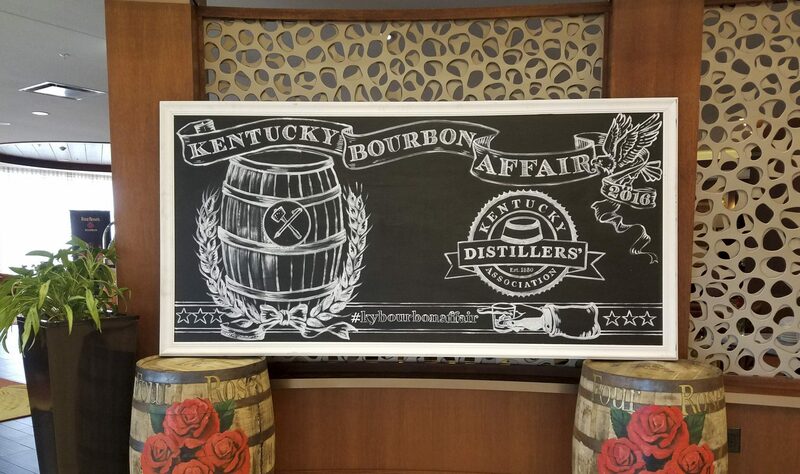 There are several schools of thought when it comes to opening a distillery, especially a Bourbon distillery. You either need to get product to market quickly, to get revenue on the books, or you play the long game. This almost entirely depends on your financial situation. Can you afford to sit on a large investment, the distillery, while waiting for your whiskey stocks to age? 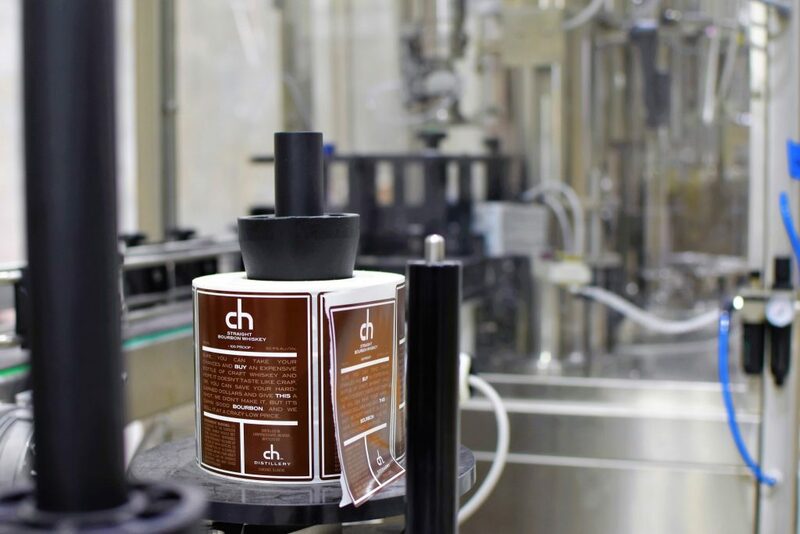 In the case of CH they have the success of their Randolph Street distillery, solid distribution and adoption by bars and restaurants, and they have an experienced team including Mark, Tremaine and Katie Cote, Director of Distillery Operations, whom they recently brought over from Diageo. 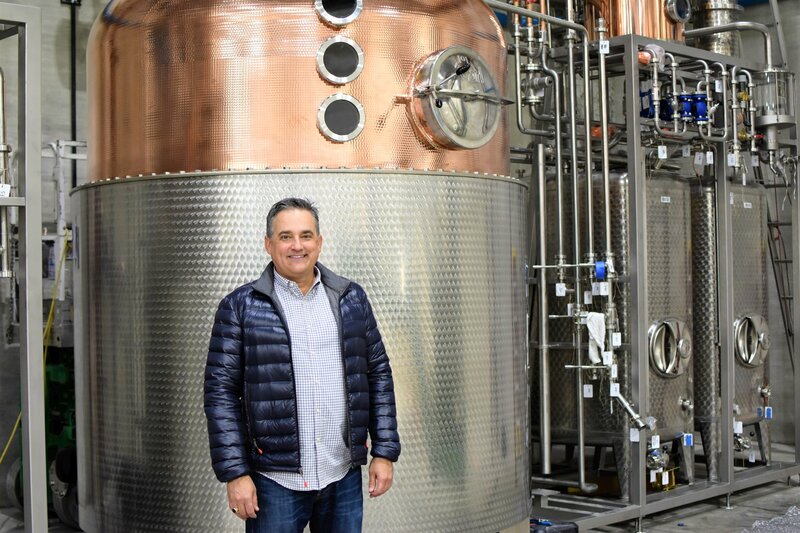 Mark tells me they “aren’t in it for the quick buck.” They are continuing to build something uniquely Chicago, a city they didn’t considered leaving when they began planning the new distillery two years ago. 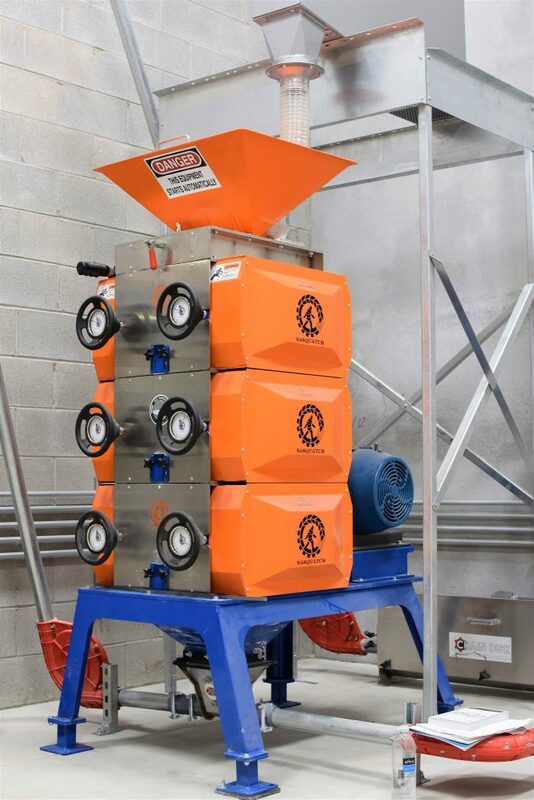 The 3 roller grain mill from Chicago’s “Malt Handling Co.” A chain disk system moved the milled grain throughout the distillery. As Mark and I walked outside we passed the mill room, where all grains are milled on-site, we passed the massive boilers and the 4,500 liter mash tanks of which there are two so they won’t miss a beat should one have an issue. When we got outside Mark pointed out the three large grain silos. One full of rye, which makes up 60% of their mashbill, a second filled with wheat, the other 40% of the mashbill. The third will contain corn when the time comes. 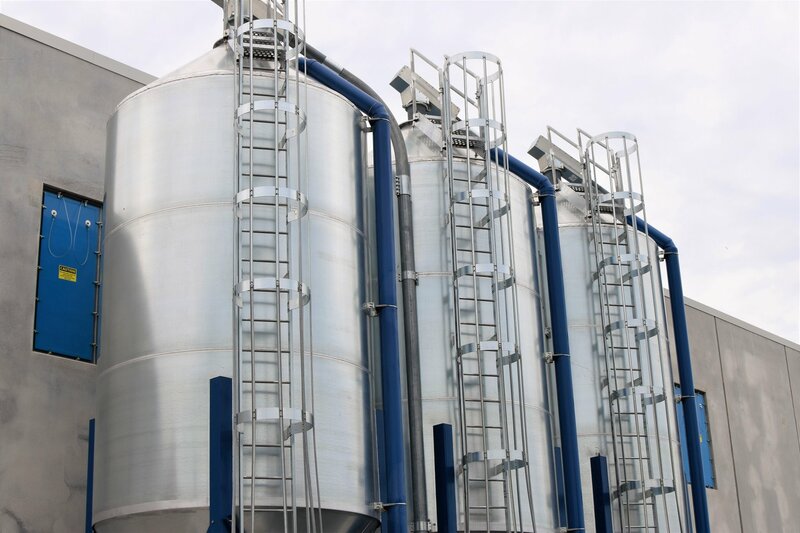 Grain silos at CH Distillery. 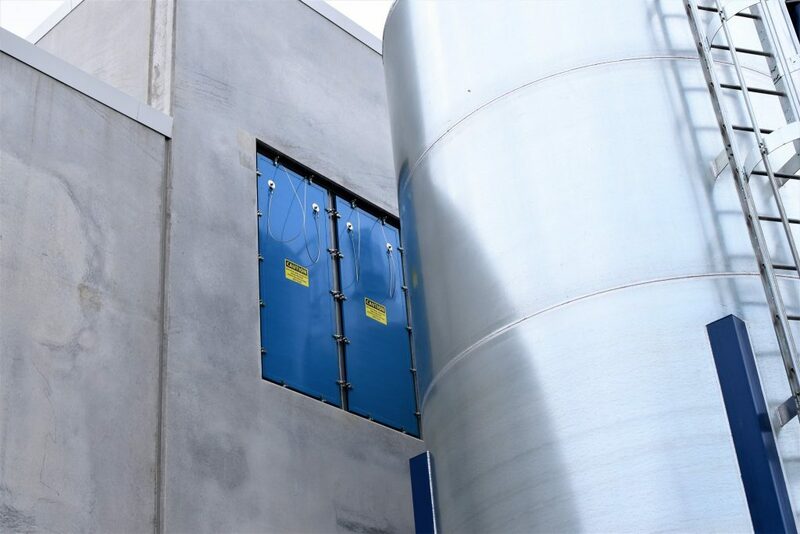 Notice those blue blast panels which open to the barrel storage room. Original building from Schoenhofen Brewery. Used for storage and possible future expansion. 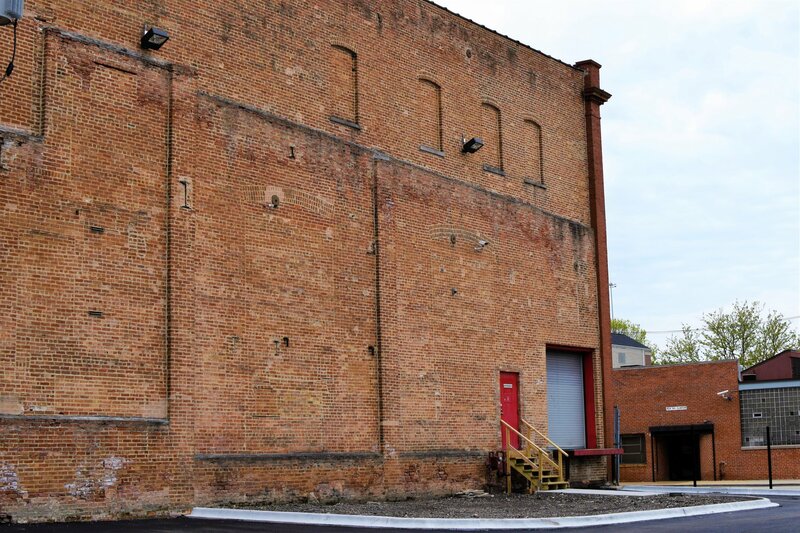 Mark pointed out an old brick building standing across the parking. It is original to the Schoenhofen Brewery which stood on this ground in the late 1800’s. CH plans to preserve that building and use it for storage or possibly future expansion needs. I asked Mark about his plans for the rest of the 2.5 acres. He said they have their hands full focusing on the distillery. There may be an opportunity for someone else to come in with an idea for the open space but for now Mark, Tremaine, and the team are laser focused on what they do best. 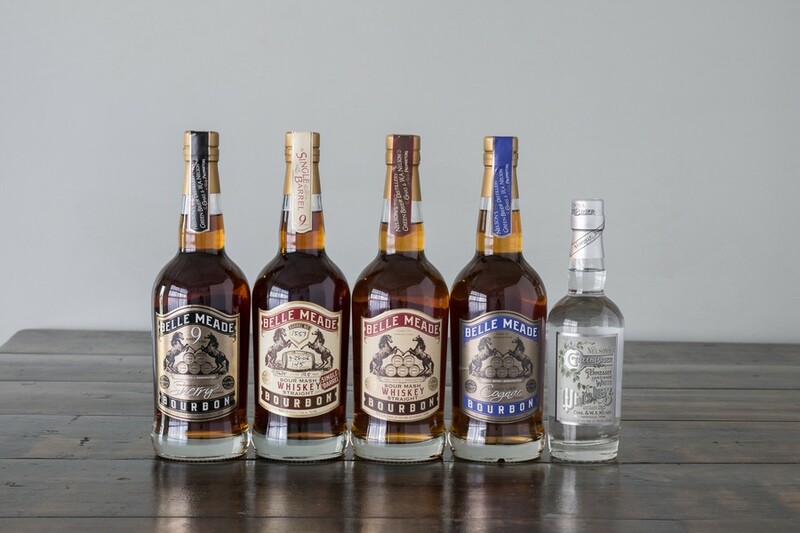 Crafting quality spirits right here in Chicago from locally sourced grains. Mark Lucas, co-founder CH Distilling.